These gorgeous tropical-looking plants, despite the tender appearance, are as tough as old boots once established. 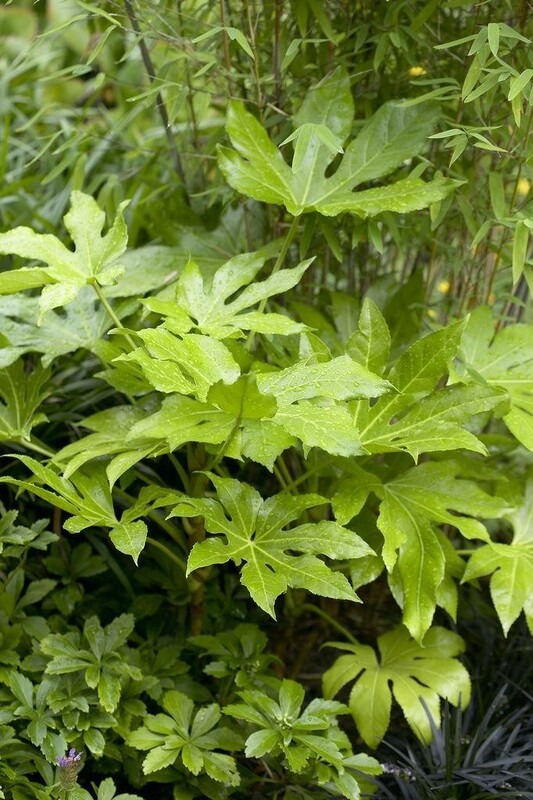 Forming evergreen shrubs with gorgeously glossy, deep green palmate leaves, they'll add an exotic touch to any garden. Perfect planted together in a group if you're looking to achieve a tropical theme, used dotted in borders in patio planter. During late summer and autumn, small white delicate flowers often appear too, adding to the charm. 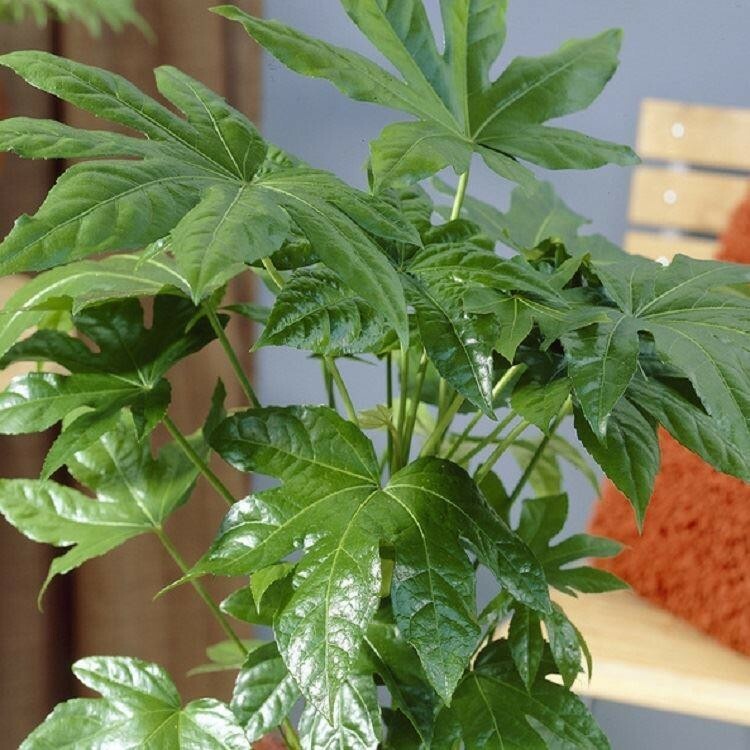 It has been proven that the Japanese aralia can remove gaseous formaldehyde from indoor air, making it a very 'good' plant to have in your home as a house plant too, as well as out of doors. 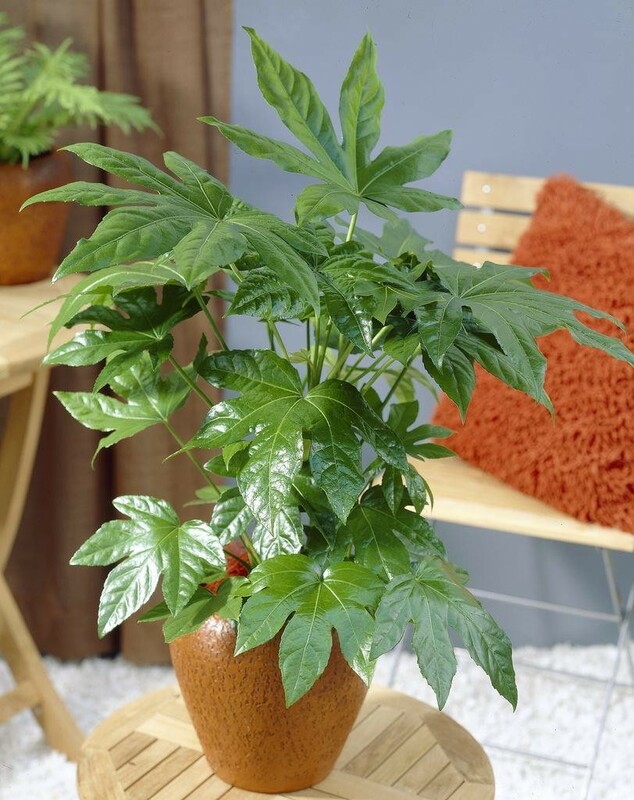 Fatsia japonica makes a superb feature in an exotic-style garden, where the large leaves team well with bamboos and grasses. Supplied in approx 1 litre containers.